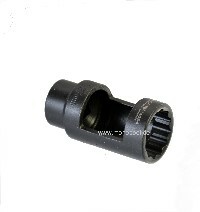 This nozzle assembly is a spare part for Mercedes type W124 (2-valve-type without Turbo), W201 and other Mercedes up to 1/1989 and W123/MB100. This nozzle guarantees Diesel-like starting of the engine. For the assembly of the nozzle holder kombination we use new parts and professionally re-worked used original parts.